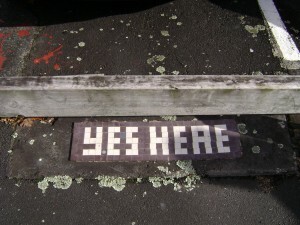 Auckland Street Art in NY Times | Go Team Sweet! My friend Jenna recently sent me this article from The Moment – The NY Times Fashion and Design Blog. It’s a brief look on Auckland street art. After reading it and looking at the photos, I wouldn’t say it is a very good representation of what Auckland has to offer, but you can judge for yourselves. This entry was posted on Saturday, November 14th, 2009 at 11:10 am	and is filed under Art Stuffs, New Zealand. You can follow any responses to this entry through the RSS 2.0 feed. You can leave a response, or trackback from your own site.